The provincial government in Quebec is going ahead with its plan to decrease immigration levels by 20 per cent in the next year. Its Immigration Minister tabled the Quebec Immigration levels plan in the National Assembly. 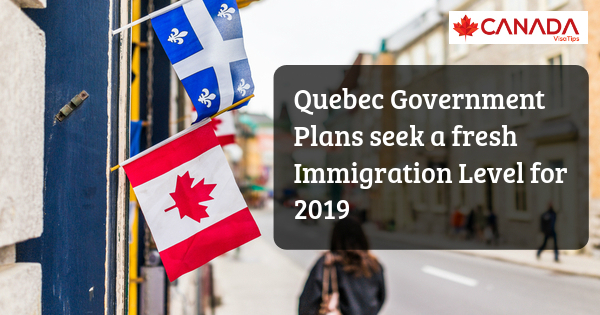 The government of Coalition Avenir Québec plans to have an immigration target between 38,000 and 42,000 in 2019. This is in comparison to the 2018 target of 53,300 immigrants. This put was put forward despite the absence of any agreement between the federal government and Quebec. Quebec presently has a control over the numbers of investors and skilled workers interested to move to the province. The Family Class immigrants as well as Refugees are under federal jurisdiction. The decrease in the Quebec Economic Class is 23,450 in 2019, from 31,200 in 2018, as per the CAQ plan. Additionally, the decrease in the Family Class will be to 8,900 from 11,700. Refugees will decline to 6,950 from 9,400. In order to improve the process of integrating new immigrants The CAQ is opting for reducing the immigration temporarily. Quebec is facing constant labor shortages, and the critics say that the province needs increased immigration, in the Economic Class. In the recent provincial election, reducing immigration was a part of the campaign of Francois Legault, who is the Quebec Premier now. The move of the CAQ to go ahead with the plan does not have the approval of the Canadian Prime Minister. He is not sure whether it is the best time for reducing the arrival of immigrants. Finally at the national level, Ottawa plans to increase immigration to 350,000 new arrivals annually by 2021. This does not have numbers in Quebec but negotiations are ongoing to sort out the issue.